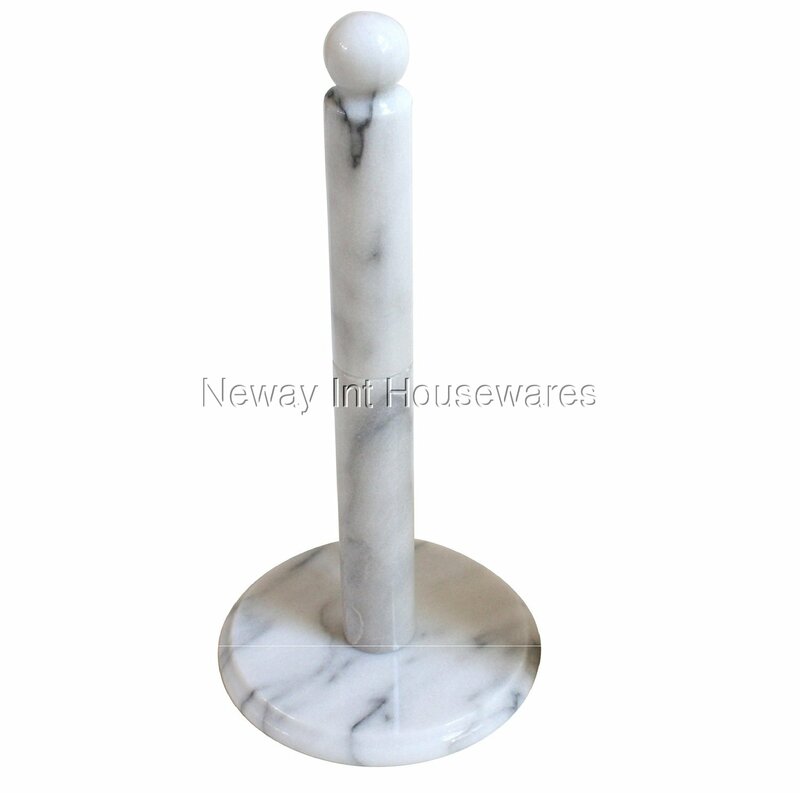 The Cook N Home White Marble Paper Towel Holder is made of natural grey-white marble. The weight of marble provides stability. The holder stands 12.5-inch high. 3 pieces for easy assembly included: 2 poles and 1 base. 3 pieces included: 2 poles and 1 base. Assembly is easy.